The Dead Daisies have been confirmed as “SPECIAL GUEST” to Musikmesse Frankfurt, Europe’s biggest Music Trade Show. The band will perform on the Center Stage of the fairgrounds every day from April 7 – April 10, 2016 as well as play a special club headline performance during the show in Frankfurt on Friday night. Details for this special club show can be found here! See below for the current schedule (which is subject to change). Thu 7. 4 . Fri 8. 4 . Sat 9. 4 . Sun 10. 4 . 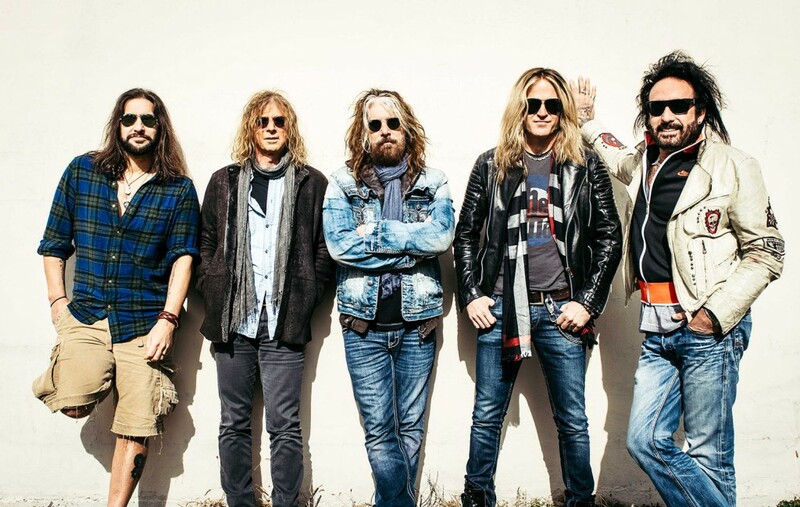 “We are absolutely delighted to welcome The Dead Daisies as our special guest at Musikmesse 2016. This will be a special highlight for everyone at the show in April. We are thrilled about exclusive performances with The Dead Daisies for the first time at Musikmesse Frankfurt.”We are really looking forward to meeting you, our fans, in Frankfurt. This will be the first performances of the new lineup so come out and celebrate with us!